People who use computer, ipads, smart phones and play computer games commonly experience computer vision syndrome. It's not a new problem any more: the term “computer vision syndrome” was defined about 20 years ago when personal computer use at home and work became prevalent. Computer vision syndrome describes eye-related problems associated with computer use. Studies have shown that computer work is demanding for the eyes with respect to eye movements known as accommodation and convergence and the visual strain of computer use increases with aggravating factors such as refractive disorders (near sightedness or far sightedness), convergence insufficiency, and screen and surface glare. Computer vision syndrome includes eye-related symptoms such as dry eyes, tired eyes, and blurred vision and symptoms that are not eye-related such as pain around the eyes and in the neck and shoulders. But what is responsible for eye muscle pain? In a study published in Optometry and Vision Science, researchers sought to determine whether eye pain was related to computer use. To do so the researchers designed a study to investigate the development of discomfort symptoms in relation to muscle activity and muscle blood flow in one of the eye muscles - the orbicularis oculi muscle - during computer work with visual strain. The study's authors took a a group of healthy young adults with normal vision and recorded eye-related symptoms during a two hour working session on a laptop. Muscle load and blood flow were also measured. Muscle load in the orbicularis oculi muscle was significantly increased above the baseline measurement and blood flow increased significantly during the first part of the working sessions before returning to baseline. There were correlations between eye-related tiredness and orbicularis oculi muscle load and eye-related pain and muscle blood flow. Subjects who developed eye-related pain showed elevated orbicularis oculi muscle blood flow during computer work. So there you have it. 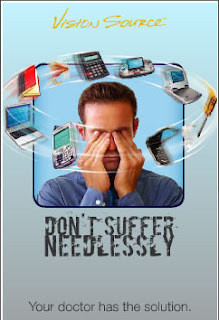 Eye pain during computer use is not your imagination. It is real and we know the muscle responsible. So how do you fight computer vision syndrome? 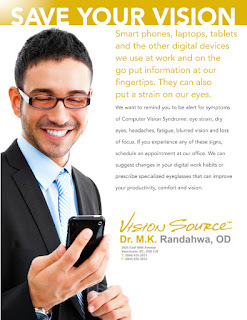 Generally, specially designed computer or digital lifestyle eyewear can greatly reduce the eye strain and visual fatigue related symptoms of computer vision syndrome and even the neck pain that comes with it. Certain designs can even combat the dry eye that comes from reduced blinking when using the digital devices. Digital lenses like Essilor 360 can also greatly reduced visual fatigue and make your vision comfortable for long periods of time by using technology similar to that use in laser eye surgery to remove abberations that are present in traditional lenses . Iif dry eye is a serious and prolonged problem, separate treatment for dry eye syndrome may be necessary. The most fashionable way to prevent disease and wrinkles: the long term and short term benefits of sunglasses- whoever thought that Gucci was in the health care business? 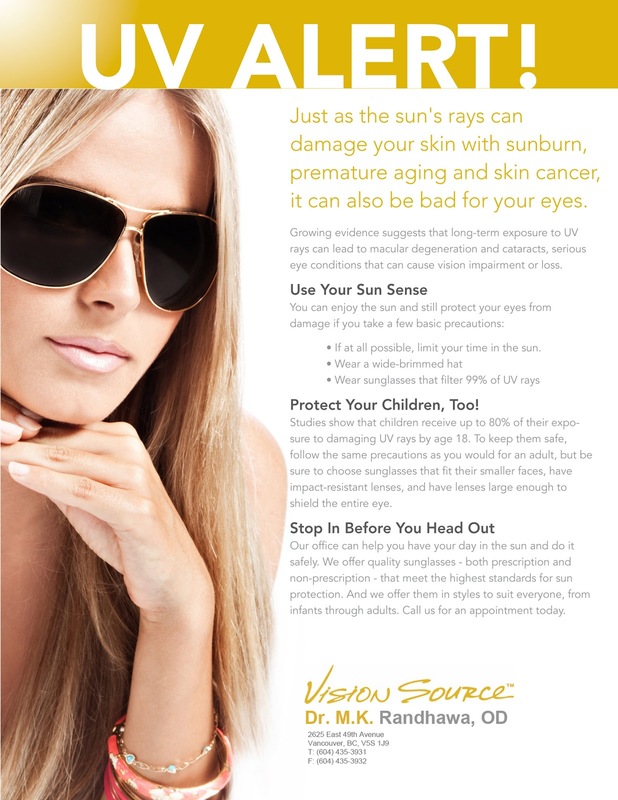 UV exposure can cause short-term and long-term effects on eye health. People with blue eyes are more at risk for UV damage than those with brown eyes, experts say. After a long day at the beach, eyes may seem bloodshot, swollen, and light-sensitive. Sunburn of the eye, or photokeratitis, is one effect. It's also known as ''snow blindness," as it happens to skiers, too. In severe cases, it can cause loss of vision for up to 48 hours. "Surfer's eye," also known as pterygium: This abnormal but usually benign growth on the eye's surface can itch, swell, and become irritated. Surgery can be done to remove it, but it can come back. Cataracts: The progressive clouding of the lens of the eye. Age-related macular degeneration: The macula is at the back of the eye, in the middle of the retina. Damage to the nerve cell in the macula can dull colors and blur fine detail in your vision. Cancer of the eye, eyelid, or nearby skin. Sunglasses will prevent these long term health risks. There are also many immediate benefits to wearing sunglasses. Sunglasses make it easier to find your golf ball, easier to see the road when cycling, easier catch the ball when playing outdoor sports. They reduce the visual fatigue and discomfort that comes from constantly fighting excessive light and glare. Sunglasses make driving safer because you have a much clearer view of the road and you are much less likely to get tired eyes while driving. Sunglasses will help prevent sunburned eyes at the beach or while skiing. They also protect your eyes from injury if you get them with polycarbonate lenses. 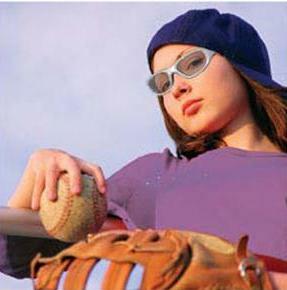 Remember sports eye injuries are the leading cause of blindness in kids. Wearing sunglasses will cut down on wrinkles and crows' feet around your eyes. Good sunglasses habits today mean less botox later. Sunglasses are the most fashionable way to prevent disease and wrinkles. Whoever thought that Gucci was in the health care business? 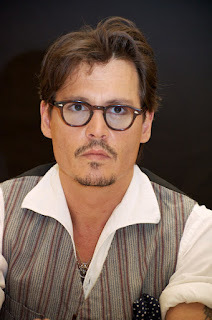 The hottest eye wear trends for spring 2012 according to www.eyecessorize.com (and we agree, by the way) are frames with graphic and apparel inspired prints and patterns; round, cat-eye or angular frames and shields; bold brow bars, leather detailing and two-toned styles. Here are some examples. Most of the leading designers like Armani, Gucci and Boss have styles like these in their current lines. Any parent would want to took after their child's health at least as well as they look after their own. But a parent can only do this if they have the right information. According to a new report issued by The Vision Council in May 2012, this is not happening when it comes to keeping eyes healthy by protecting them from harmful UV radiation. The report shows that while 73% of adults do wear sunglasses, only 58% of them make their children wear sunglasses. The report suggests that too many people still do not understand the serious damage that UV exposure can have on your eyes. Even fewer realize that it is cumulative exposure over time – which happens on both sunny and cloudy days – that leads to vision threatening diseases. One such disease, macular degeneration, leads to permanent vision loss and their is no cure. It is also important to realize that not all lenses are the same at blocking UV rays. Even lenses that claim 100% UV protection actually don't deliver on that promise. However, newer lens technologies are tackling that problem and provide much better UV protection. To learn more read our previous post on new UV lens technologies. In honor of May as UV Awareness Month, See for Life is going to bust one of the biggest UV myths out there. But first, if you want to learn more about UV exposure and eye health, read our post on UV basics and the diseases that UV exposure causes, just click here. Lenses for glasses and sunglasses often tout "100% UV protection". Does that mean that no harmful UV rays at all enter you eye? No. It means that the lens blocks all the UV rays that hit the front of the lens. However, recent studies have shown that UV rays still enter your eyes because up to 50% of your UV exposure comes from rays that reflect off the back of the lens (the side closest to your eye) and into your eyes! On top of that, we get 40% of our UV exposure on cloudy days. So even if the sun is not shining bright, there is still lots of ultraviolet radiation pouring into your eyes even if you have standard UV protection lenses. This means that so-called "100% UV protection lenses" only really give you around 50% protection. That's better than nothing. But there are new lens technologies on the market that can take care of all that reflected UV light so that you really do have total UV protection (or close to it). The only lens that we are aware of that gives you total UV protection is the Crizal Forte UV lens (and other Crizal lenses that have the advanced UV protection). Here is a diagram that explains how it works. You may think that you are not getting enough safety bang for your buck when you buy sunglasses. And you would be right. But there are some things you can do to get more out of your sunglasses. Many sunglasses (even by the big designers like Gucci and Versace) can accept prescription lenses and your eye doctor will be able tell you which models these are and how you can order them with custom lenses - the kind of lenses that you can get with technology like Crizal Forte UV. Of course, if you wear glasses normally you can get prescription sunglasses with Crizal Forte UV. However, if you have perfect vision you can order your sunglasses with "plano" lenses, which are lenses that have no vision correcting power. You can even take your old sungalsses to the optometrist and get new Crizal Forte UV lenses put into them. UV exposure is very dangerous and over time it can lead to vision loss from diseases like cataracts and age related macular degeneration. To learn more about UV exposure, read our post on UV basics here. Download our UV education brochure by clicking on the image below. What is the best sunglasses lens in the world? Why do parents take better care of their own eyes than those of their children? What does convergence insufficiency look like? This is what reading is like for someone with convergence insufficiency. To understand convergence insufficiency, it is first necessary to understand what convergence is. Convergence is the coordinated movement and focus of our two eyes inward. This is what normal eyes do when a person is performing close work such as reading that requires us to focus both of our eyes inward on close objects (books, papers, computer screens, etc.). Humans learn to converge very early in life. A person who cannot converge properly has a problem with the coordinated movement of their eyes inward to look at close objects. The most common convergence problem is convergence insufficiency. Eye coordination problems like convergence insufficiency generally cannot be improved with eye glasses or surgery. A program of Vision Therapy may be needed to improve eye coordination abilities and reduce symptoms and discomfort when doing close work. The National Eye Institute, a division of the National Institutes of Health for the U.S. Department of Health and Human Services, released a statement concerning the effectiveness of office-based vision therapy for treatment of Convergence Insufficiency. Dr. Mitchell Scheiman, FCOVD, who completed the 12-week study, known as the Convergence Insufficiency Treatment Trial (CITT), found that approximately 75 percent of those who received in-office therapy by a trained therapist plus at-home treatment reported fewer and less severe symptoms related to reading and other near work after the office-based vision therapy. Notably, the study also found that the most popular treatment typically offered by ophthalmologists, pencil push-ups, was not effective. The press release issued by the National Eye Institute to announce the findings of the RCT provides a short summary of the study. "This first multicenter, randomized clinical trial of the treatment of symptomatic CI in young adults demonstrated that of the three treatment modalities, only vision therapy/orthoptics was effective in achieving normal clinical values for both the near point of convergence and positive fusional vergence. Patients in the pencil pushups group achieved normal values only for positive fusional vergence at near and patients in the placebo vision therapy/orthoptics group did not achieve normal findings for either the near point of convergence or positive fusional vergence at near.Therefore, the effectiveness of vision therapy/orthoptics in improving the near point of convergence and positive fusional convergence values at near in adults cannot be explained on the basis of a placebo effect. Based on the results of this preliminary study, it would appear thatpencil pushups, the most popular treatment for CI, is not effective for achieving clinically significant improvements in symptoms or signs associated with CI in young adults." A study published in 2010 by Alvarez et al. in Optometry and Vision Science adds to the depth of the scientific evidence by showing that vision therapy produced demonstrated changes in eye movements together with significantly increased functional activity within the frontal areas of the brain, the cerebellum, and brain stem. These regions of the brain are likely to ―participate in a collicular-cortical dorsal visual networks and may reflect increased processing of visual material specific to near space. This study demonstrates the motor and neurological mechanism by which vision therapy operates. The brainscan images published in the Alvarez study are worthy of review. When a patient has cataract surgery, the surgeon removes the eye's natural lens and implants an artificial lens is (called an intra-ocular lens). The most basic lens is covered by government insurance in Canada but patients must pay out of pocket for higher quality lenses that will result in better vision. The problem is the prices that surgeons are charging their patients. Some prices are outrageously high and there is great variability between what different surgeons will charge for the same lens. It's difficult for patients to shop around because you can't just walk into a store and read the price tag. Moreover, surgery centers will often not tell you the price over the phone. When a patient is faced with the authority of a surgeon in the exam room, it can be intimidating and difficult to question the surgeon's recommendation to buy premium lenses or to question the price being charged. A recent study published in the journal PLoS ONE examined this issue. The researchers posed as patients and telephoned every cataract surgeon in Ontario, Canada, and asked their price for the most common type of specialty intra-ocular lens. They then measured the total prices quoted and price variation between surgeons. The study concluded that although cataract surgery is covered by public health insurance, some eye surgeons charge much more than others for the same intra-ocular lens and associated testing. The researchers urged that greater access to price information and better regulatory control could help ensure that patients receive fair value for out-of-pocket health expenses. In British Columbia pricing by surgeons was such a concern that the provincial government took over the market for intra-ocular lenses, using its buying power to get a good deal on the lenses and then to provide them to the public at cost. You can read the press release from the ministry of health here. Often the best and most objective advice about specialty cataract surgery lenses comes from your optometrist. As eye doctors, they have the knowledge and experience to give you sound advice and because they are not the ones earning fees form doing the surgery or selling the lenses, they have no financial conflict of interest in helping you make the best choice. Optometrists identify seniors with high car-crash risk due to in-car distractions. Are Ford Sync and Dodge Uconnect dangerous? A study in the April issue of Optometry and Vision Science, official journal of the American Academy of Optometry, has found that a computerized vision test can identify older drivers who are likely to have driving problems related to distractions in the car and who therefore have a high crash risk. The study authors, led by Joanne M. Wood, PhD, FAAO, of Queensland University of Technology, Brisbane, Australia, found that older drivers who show limitations on an optometric vision test called the "Useful Field of View" (UFOV) test make more driving errors when they are distracted. The finding provides a basis for making older drivers safer by predicting who will be more distractible on the road. Older drivers identified as distractible can benefit from minimizing distraction while driving - this makes driving safer for them and the drivers with whom they share the road. The study looked at 92 drivers with an average age of 74 years who underwent the computerized UFOV test. Useful field of view is defined as "the area over which a person can extract information in a single glance without moving his or her head or eye." Drivers with limitations in UFOV are more likely to have problems in demanding driving situations, with an increased risk of crashes. After the UFOV test, the drivers performed a closed-course driving test three times. On two of the three runs of the driving test, their car was fitted with visual or auditory distracters. The distracters were simple math problems presented on a video screen or audio speaker. The distractors mimic the degree of attention demanded by common in-car experiences such as conversations, navigating an ipod or smart phone, navigation system or in-car entertainment system. Drivers who had limitations in UFOV were most likely to have problems on the driving test when there were visual or auditory distracters present in the car. These drivers also took longer to complete the driving test. This may be a reason for the slower driving commonly seen in older drivers. The part of the UFOV test that assessed a driver’s "selective attention” was the best predictor of driving performance. Drivers with low selective attention scores had a very high crash risk. In contrast, older drivers who did better on the selective attention subtest had better overall performance on the driving test, even with distracters. Previous research has shown that the UFOV test is highly effective in predicting crash risk among older adults, with or without vision problems. The new study suggests that distractibility is an important contributor to problems in driving performance and crash risk. That conclusion is consistent with recent research on the effects of increased distraction while driving, especially distractions from things like cell phone use. Every year, cars come outfitted with more gadgets inside from GPS navigation, to touchscreens. My new Dodge Journey includes a car-driver interface (pictured above) that allows the driver to make phone calls by scrolling through an on-screen phone book downloaded from a cell phone and to browse an ipod music library on an dashboard integrated touch screen. These are all distractors and they are an example of how the driving environment is becoming more complex and distracting. The interface can also be controlled by voice but that is also distracting because it involves paying close attention to audio instructions and prompts. This study’s results have important implications for the design of these kinds of in-vehicle devices and the safety of older drivers using them. Here is a funny TV commercial promoting the Dodge Journey's uconnect driver interface system. Will something like this be a dangerous distraction for older drivers? Unprotected exposure to UV radiation can cause photokeratitis, which is basically a sunburn of the eyes marked by painful, red eyes and a sensitivity to light.The symptoms usually clear up quickly and cause no permanent damage to the eyes. However, growing evidence suggests that long-term exposure to UV rays can lead to macular degeneration and cataracts , serious eye conditions that can cause vision impairment or loss. Other UV related dangers include Pingueculae (small yellowish bumps on the white of the eye) and pterygium (opaque growth over the surface of the cornea). The more UV exposure you have during your life, the more likely you are to develop one of these damaging conditions. •If at all possible, limit your time in the sun. Don’t forget the children. Children are especially susceptible to eye damage from the sun. The lenses in their eyes do not block as much UV radiation as in adults. Follow the same precautions as you would for an adult, but be sure to choose sunglasses that fit their smaller faces, have impact-resistant lenses, and have lenses large enough to shield the entire eye.